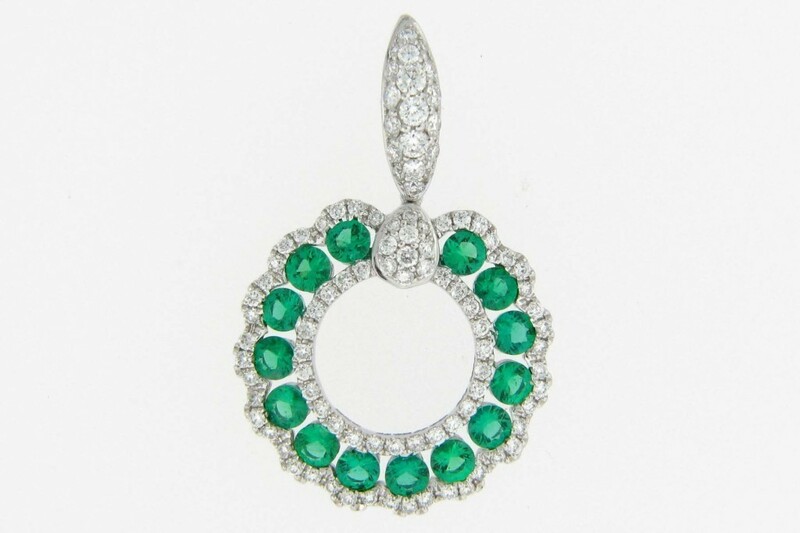 Throughout history, emeralds have been favored by royalty and celebrities alike. Make her feel like a queen with this circle of love pendant. It features 14 round emeralds (.67 ctw) & 97 round white diamonds (.46 ctw) set in 18kt white gold.